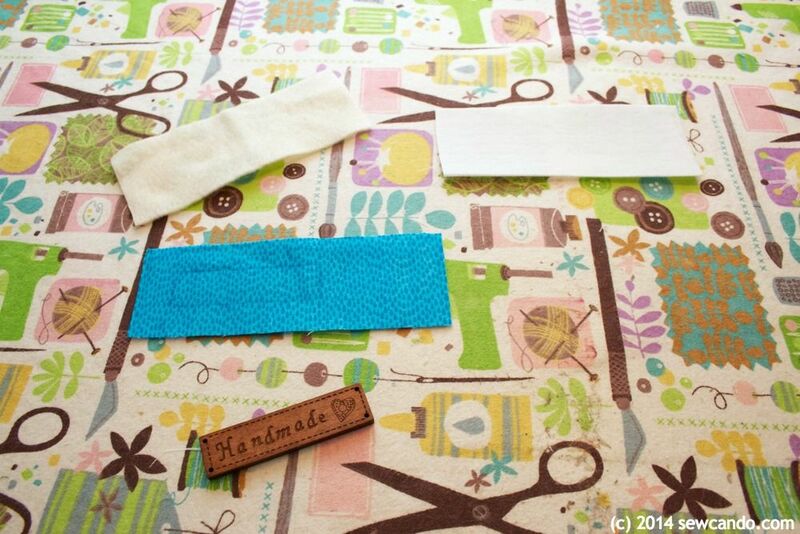 Got some pretty fabric scraps that are too small for most projects? Or want to highlight a fabric's fun print on a small scale? Then this project is for you! 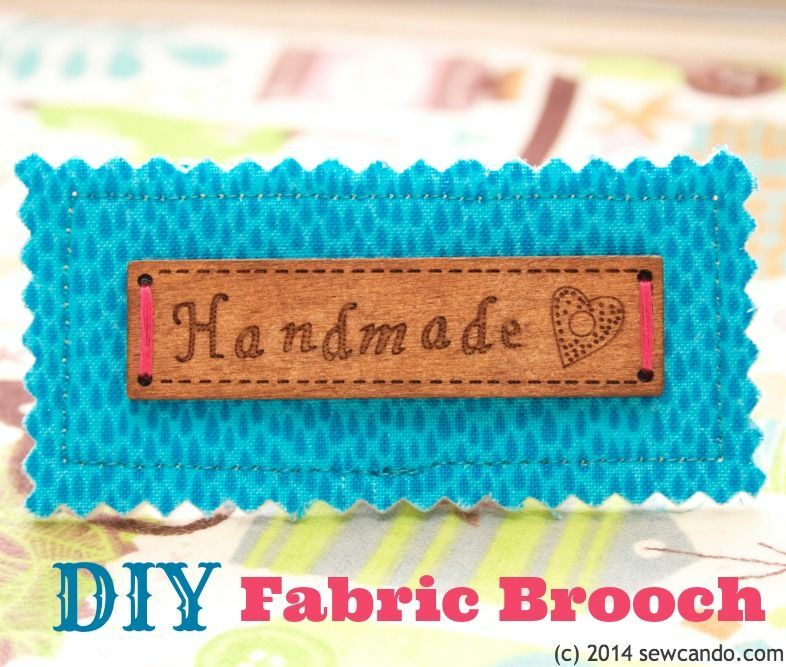 Make pin-on brooches in minutes & add to any outfit or bag for some extra fabric fabulousness. I literally whipped this project up an hour before going to a craft event. I wanted to be able to wear something crafty, that I'd made, and this worked out perfectly. It's also a great way to feature a design or character from a busy fabric as well. Optional: paper-backed fusible web, button/embellishment, pinking shears, embroidery floss, hand sewing needle. 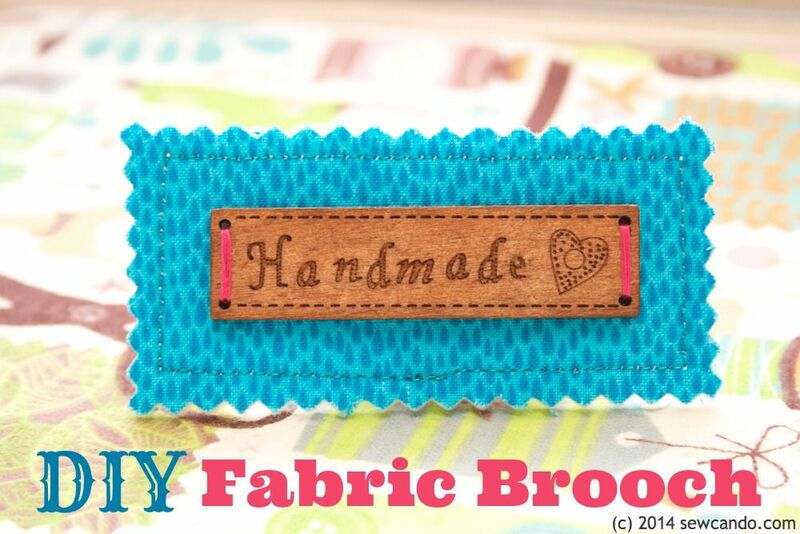 The "Handmade" wood embellishment I used can be found here. 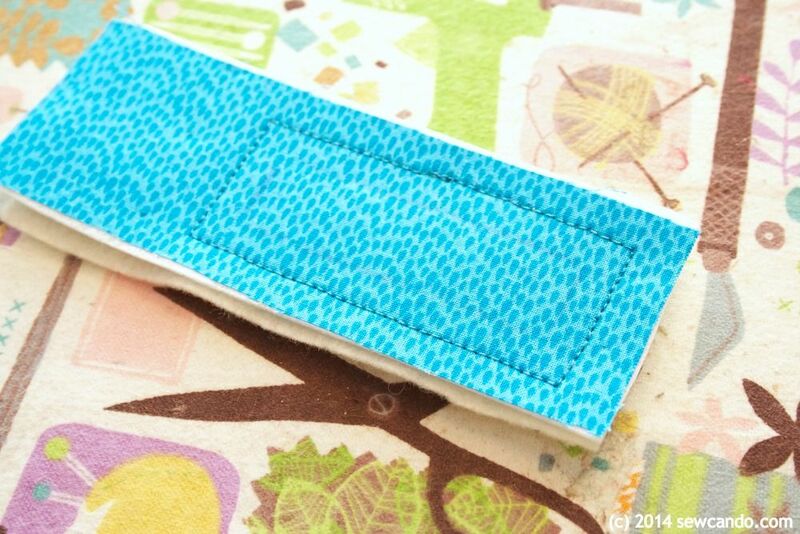 Start by cutting your desired shape from your fabric, felt and stabilizers. Since I was going to add a rectangular embellishment on top, I echoed that shape, but made it about an inch wider and higher all the way around. Next iron on some paper backed fusible to the wrong side of the fabric, peel aways the paper and then fuse to the ultra firm stabilizer. 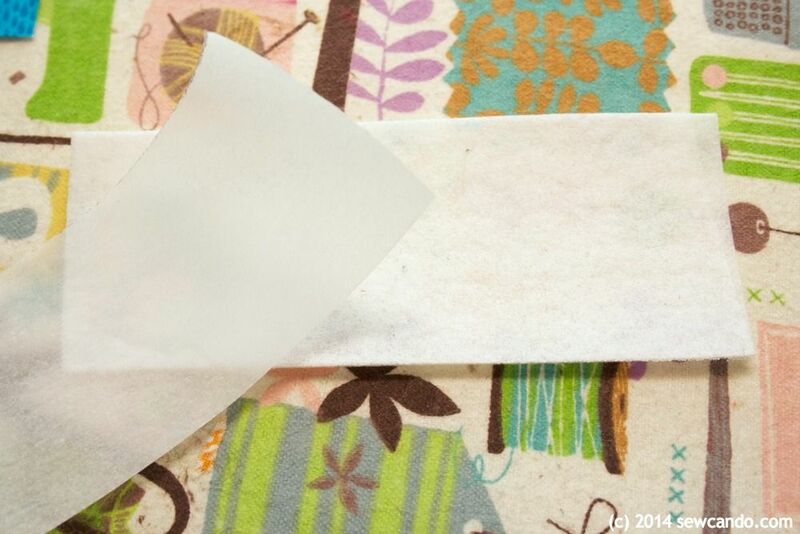 Using paper backed fusible isn't required, but it will keep things from shifting while you sew, so it's a sanity saver. 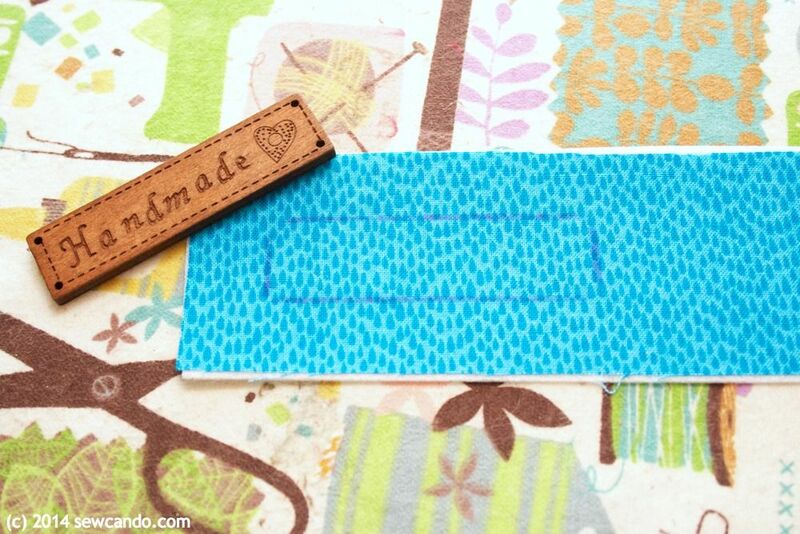 Use disappearing marker to draw the outline of any embellishment if that will be the shape you want to sew around. 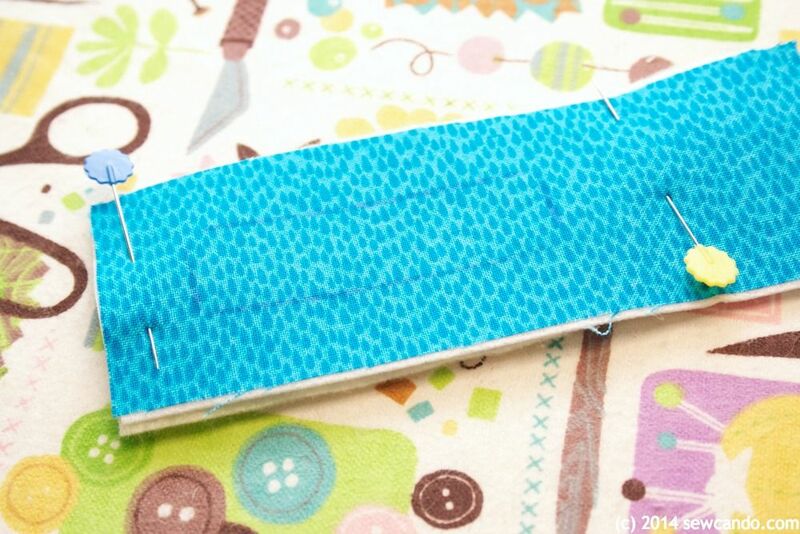 This makes sure things centered & gives a guide to sew around to make sure the topstitching will be even and straight. 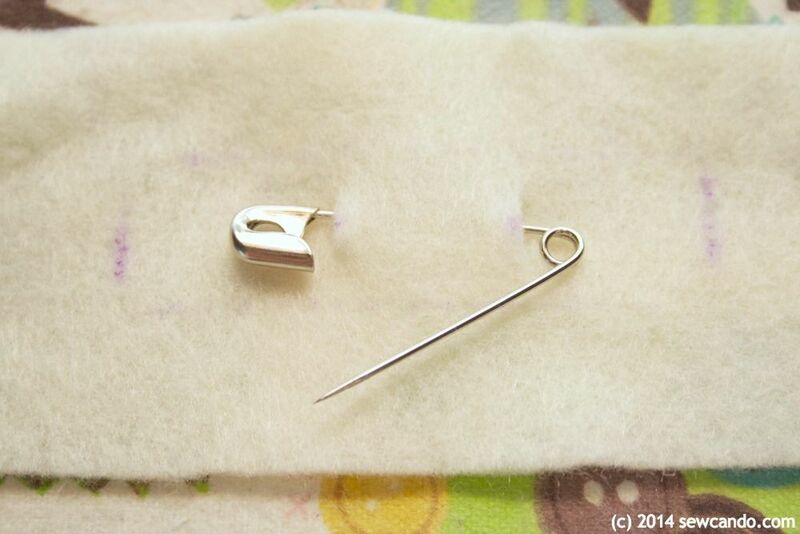 Snip the two marking points to about 1/4 inch high and slip safety pin in to make sure it fits. Slip back out and add after brooch is complete. Topstitch all the way around. I did about 1/4 inch away from the outline of my wood piece. Trim just outside the stitching. I used pinking shears for some extra decorative detail and to prevent fraying. If using regular shears, add a little Fray Check around the raw edges to seal them. 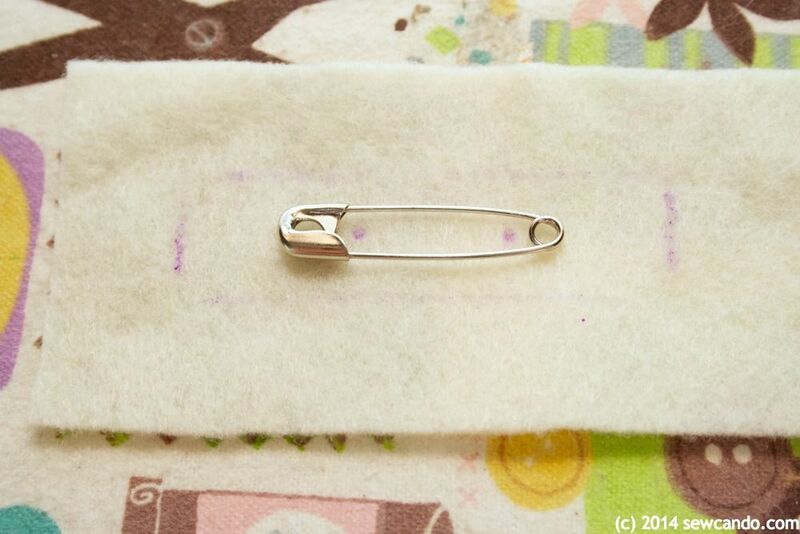 If you're using an embellishment or decorative button(s) like I did, hand sew them on. I used bright pink embroidery floss for some extra color. Slip safety pin through slits in the back. Now the button is done and ready to wear! Great idea, like most crafters (I imagine!) I have tons of fabric scraps needing used up. Hi Cheryl, this is lovely! Thanks for sharing the nice idea! Great way to be penny-wise while looking cute, crafty, and creative! I hate throwing away even the tiniest piece of fabric, I can imagine all sorts of variations on this theme, thanks! This is an awesome idea! I like to keep my scraps, but never know what to do with them. Thanks for the idea!